Lostentry - Welztalbahn, Model Railroading, and more: "Long Distance Ballasting"
Ballasting again. 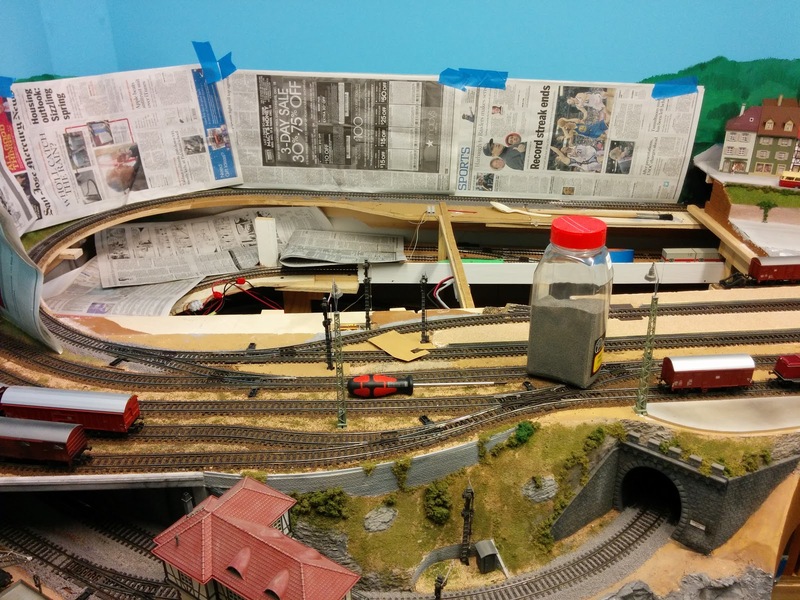 This time I get to do it on the one of the hardest to reach corners of the layout: the turnback curve around the Emsingen Lokstation, which is currently sitting on the work bench outside the layout room. This looks deceptively open and accessible in the photo. In reality, there is the computer cabinet and lower level tracks in the way. The closest location to reach this corner is from the access hatch on the right hand side of this photo (behind the red cap of the ballast container). Most of the curve is about 3 feet away, so I get to work with alcohol and glue at the end of an outstretched arm. 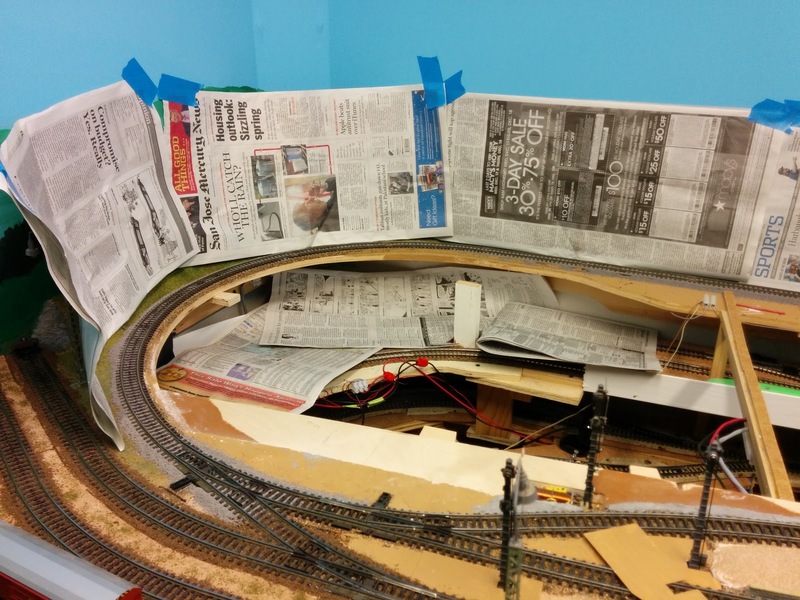 To make matters worse, the roadbed on the inside of the curve sits right on the edge of the plywood, so I will ballast and shape that part only later after I put the Lokstation back into the layout ... and then work really carefully around the sceniced areas. I put the ballast in place and carefully shaped it. Now it's time to soak it in alcohol and apply glue without disturbing too much of the shape. Still not one of my favorites.